Once again it’s been an incredible week. Learning so much. 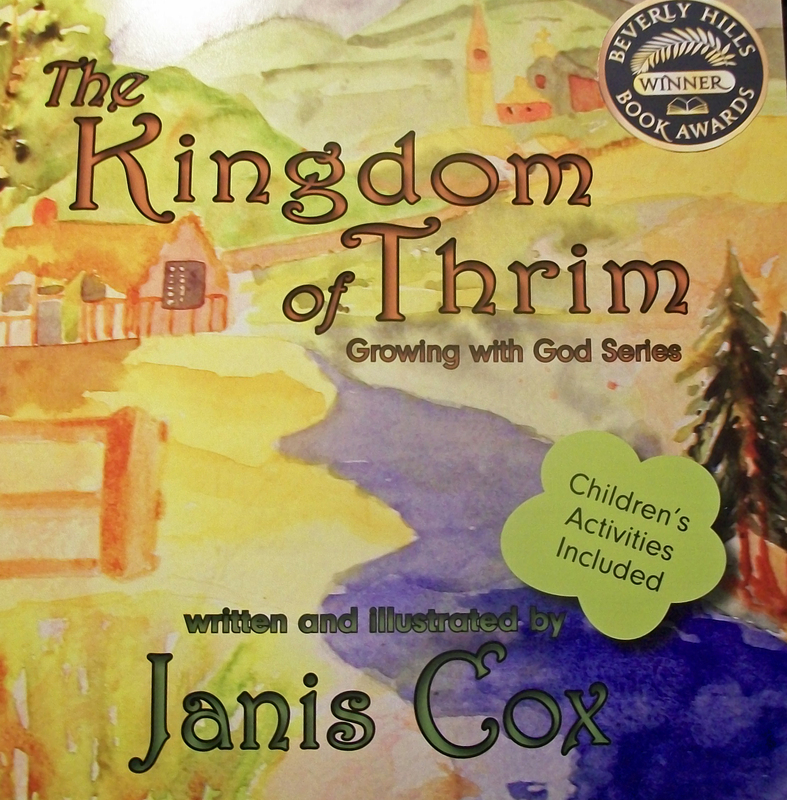 My second children’s book, The Kingdom of Thrim, is now on Amazon with NO shipping. I have changed my publisher to Creativity Press. So drop over and see the new edition. If you encounter any problems please contact me at Janis. you walk straight along the road he set (The Message). I wrote: The Psalmist can ask for help because he has been blameless. God sent His one and only Son Jesus to save us from our sins! With Him we can be blameless because of His grace. The one who was born of God – Jesus – will keep us safe. My point was that Jesus does keep us safe – safe from all alarms. I don’t mean protecting us from everything that might happen because I know that some bad things happen. I mean when we are with Jesus we know He is always there to comfort us – we are safe in His arms. – through all alarms. I love the old hymn. I know I have nothing to fear or dread as I am safe and secure in Jesus’ arms. May you feel that peace and security too. However, I read this from Mark Batterson. What are your thoughts? Does Jesus keep us safe? What is safety to you? It is boldly going where God tells us to go. Time is up. Now it’s your turn. Click on Five Minute Fridays. Go and read other posts or enter your own. This entry was posted in Five Minute Friday and tagged five-minute Fridays, kate motuang, Leaning on the Everlasting Arms, psalm 119:3, safe, Thrim on February 10, 2017 by JanisCox. Once more, it is Friday – take 5 minutes and just write. Set the timer. Go. Keep to me means cherish. I think of what I cherish the most – God, family, friends. Then I think of what I cherish that maybe I should not cherish – my “work”, my accomplishments, my gifts. A long time ago I was able to get rid of stuff. Stuff can occupy our minds and keep us from advancing to where God wants us to go. I still have to purge often because stuff accumulates (don’t know how but it does). God says we have one real thing to cherish with our whole heart – that’s Him. From there our love can go out to others. I try to keep that thought in front of me whatever I am doing. I don’t always succeed. Thanks for His grace! If we are promising to walk in His Word then we have to remember that He gives and takes away. What I have now I might not always have – that includes things, abilities, health, finances – anything really. myself open to Him – He is the author and perfecter of my soul. watch over where God is working so I can follow His lead. watch over my lips and tongue so my speech will be filtered to following Him. my thoughts pure and blameless so I am ready for when He returns. Time’s up. Five minutes goes quickly doesn’t it. Joining Kate Motaung for Five Minute Fridays. What does KEEP mean to you? Joining Kate Motaung for #FMFparty (click to tweet). Join us on Fridays – take 5 minutes to share your thoughts – no editing, just write. This entry was posted in Prayer and tagged #FMFparty, five-minute Fridays, Janis Cox, Keep on February 6, 2015 by JanisCox. But they that wait upon the Lord shall renew their strength. They shall mount up with wings as eagles; they shall run, and not be weary; and they shalll walk and not faint (Isaiah 40:31, AKJV). I don’t like waiting. I admit it. I am someone who likes to work quickly. I get impatient with stories that take too long getting to the point. I am one who is ‘on the go’ – or like to be ‘on the go’. At least that was the case until this January when I caught the flu. That put me out of commission for 3 weeks. Even now I have to make sure I don’t overdo it or I wear out. That’s why this year my word is RESTORE – to intentionally find things that will restore my mind, body and spirit. I am learning, albeit slowly, to wait for some things. Here are some of them. Wait while someone is talking – don’t interrupt. Wait for God – actually sit for 5, 10, 15 minutes, whatever time it takes for me to feel the peace He brings. Wait for my new picture book to be finished. Take it slowly and in His timing. Don’t fret. Wait and watch for what God is doing in my life. Ponder over it. Reflect on it. Lord help me to learn to wait – to rest in You. Help me to remember to take the minutes necessary to reconnect. Help me to listen to Your voice of when to GO. In Jesus’ name. AMEN. What does WAIT mean to you? Joining Kate Motaung for #FMFparty (click to tweet). This entry was posted in Prayer and tagged five-minute Fridays, Isaiah 40:31, Janis Cox, restore, wait, write on January 30, 2015 by JanisCox. I am joining Kate Motaung at Five Minute Fridays. I have not written a Five Minute Fridays post for a long time. But this morning the word – SHARE – just caught my attention. Yesterday at Bible study we talked a lot about sharing, openness and being REAL. We are studying Maxi Dunnam’s The Workbook of Living Prayer. My friend kept her word – but, you know God had a plan. Through that group I found REAL friends whom I could share my thoughts, my dreams, and my questions. I found out that real friends will allow me to be me. I didn’t have to pretend to be someone else. Now I share, I pray out loud, I hold hands and I even lead Bible studies. Thank You, Lord. If you haven’t joined a Bible study, pray about it. God will lead you to the right one, with friends who will be friends for eternity. I did write about being real in a Five Minute Fridays – in 2012. You can check it out at REAL – Five Minute Fridays. There is much to this story – and I can’t write about it in 5 minutes. Here is my acronym for REAL. Here is a fridge magnet I made. If you would like the higher definition .jpg so you can print it, please email me at Janis. In order to share we need to be REAL before God and others (click to tweet). This entry was posted in Prayer and tagged Bible study, five-minute Fridays, God changes things., Janis Cox, share on January 23, 2015 by JanisCox. Linking with Lisa Jo where we take only 5 minutes to write – #FMFParty. No editing. Just getting our thoughts and words on paper (computer). Go – The word this week is “willing”. Are you willing to follow Me? These first two months of this year, 2014, God has been prodding me to listen more to His Voice. I read The Circle Maker, Not a Fan, Kisses from Katie, and The Power of Persistent Prayer. Of course I also read the Bible. Right now I am reading through the New Testament for Lent with Margaret Feinberg. Am I on the path that follows Jesus? The question that keeps arising is, “Are you willing to follow Me?” And also I hear the repeated call, “Feed my lambs”. We started the first week of our new Bible Study on Not A Fan. Here are some take-aways from that first encounter with Jesus. A follower gives Jesus the master key to his/her heart (soul). I need to define this relationship I have with Jesus. I need to ask myself where I have not allowed Jesus to enter in my life. This week I start writing in the journal that Kyle provides for this study. Then he said to them all: “Whoever wants to be my disciple must deny themselves and take up their cross daily and follow me” (Luke 9:23, NIV). What does take up my cross mean? What does deny myself really mean? – How is that possible? How can I make each day – totally His? STOP – I actually don’t want to stop – but I will continue to ask myself these questions; I will continue to ask God these questions; and I will try to tell you what I discover in the next 6 weeks of study. This entry was posted in Prayer and tagged #FMFparty, being His, Bible study, five-minute Fridays, Follow, follower, Janis Cox, Jesus, Lisa-Jo Baker, Not a Fan, The Circle Maker, The Power of Persistent Prayer, willing on March 7, 2014 by JanisCox. Five Minute Fridays – What to Choose? So much to choose from. God gives me such wonderful ideas. I get excited and I am off. But sometimes there are just too many things to choose. The pause in between choices is the most important thing. Never get so rattled with all that is before you that you can’t do anything. Pause – pray and ask for direction. God always comes through – gives peace and productivity can continue. One Day at a Time – will this be an ebook, softcover, devotional or Bible study? But – each moment of each day is special to God. I look to Him for timing, for inspiration and for energy. And of course the best choice I ever made was choosing to follow Jesus. Time’s up. Got to take the laundry out of the washer. Your turn. Join us at Lisa Jo Baker’s Five Minute Fridays. 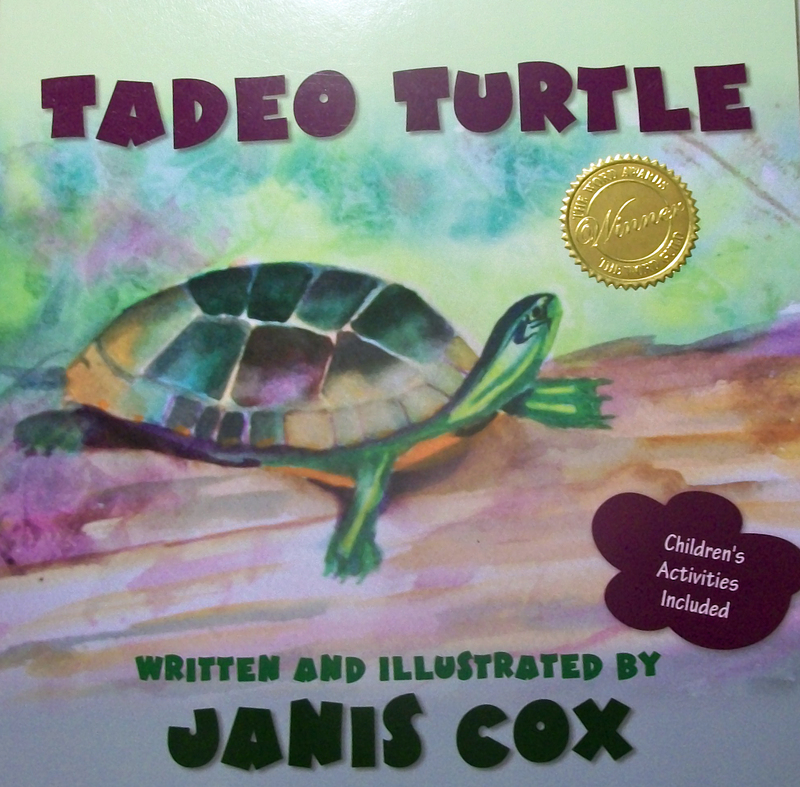 This entry was posted in Prayer and tagged #FMFparty, choices, choose, five-minute Fridays, Janis Cox, Lisa-Jo Baker, pause for God on February 28, 2014 by JanisCox. I can’t ever remember being small. As a young child growing up I heard, “oh she is so tall”. In my class photos I am in the back row centre. Whenever we lined up for height – I knew I would be first. The boys took forever to catch up. When I finally saw the man I would marry I first saw his height (6 foot 3 inches). That made an impression on me. We danced well together. We walked well together. He was someone to look up to (by 5 inches). No matter that my height was tall, I felt small much of the time. I had very little confidence in who I was. Extremely shy in school most report cards stated, “would like it if Janis would speak up more in class”. No – I didn’t want to say anything, even if I knew the answer. I had fears of speaking in front of a group – even a small group. Time passed. I learned about myself. I became a little bolder. The biggest breakthrough came when I realized that I didn’t have to fear anything. I memorized this Scripture. Do not be anxious about anything, but in every situation, by prayer and petition, with thanksgiving, present your requests to God (Philippians 4:6, NIV). Thank the Lord that I heard His still small Voice – then I knew Jesus. And after the earthquake a fire; but the LORD was not in the fire: and after the fire a still small voice (1 Kings 19:12, KJV). Amazing result – the small in me became bigger, bolder and ready to spread His Word. This entry was posted in Prayer and tagged #FMFparty, 1 Kings 19:12, five-minute Fridays, Janis Cox, Philippians 4:6, small on February 21, 2014 by JanisCox. What makes me want to write? Oh the sheer excitement to see the words come on the white page (or screen). To see what God is going to lead me to say. To help my thoughts grow my faith as I read and write His Word. I always loved words. I took English as my major in university. But teachers either liked my writing or hated it. It hurt when they didn’t like my words and I took it personally. God has taught me not to do that now. When I write now I try to write what He is teaching me. Last Friday the prompt was who is my hero – it was so easy – Jesus of course. As I live, breathe and find joy in each moment writing becomes part of who I am. I love reading devotionals like Oswald Chambers, and Philip Yancey because those words stir my thinking about how I am living. Of course, the Bible is first and foremost where I get my inspiration. Writing becomes my living and my living reflects in my writing. I stumble, but He picks me up. I used to worry about what people would think and hesitated to put any words on paper for fear of failure. But Jesus showed me there is no fear because really I am writing for Him. If I trust Him He will give me the words that He wants me to say. Thoughtless words cut like a sword. But the tongue of wise people brings healing (Proverbs 12:18, NIRV). I pray that my words bring LIFE. That’s why I write. Time is up: And I like that about Five Minute Friday – just let my fingers go and then the timer goes off – I am done. No editing, reflecting – just words on the page. Can’t wait to read the thoughts of others. Join me as Lisa Jo is having a contest to win 3 books – link your posts. This entry was posted in Prayer and tagged #FMFparty, five-minute Fridays, Janis Cox, Lisa-Jo Baker, writing on February 7, 2014 by JanisCox.